In the first, we encourage a perspectival shift to microbes as sentient individuals in hypothesized scenarios of historical significance in which microbes are privileged as the agents of perception.This phase includes a series of installations based around cabinets of curiosities where elements presented contribute to microbes’ experience of their own history.It also follows artist Lorusso’s journeys to sites where microbial life is held sacred or seen as a repository of environmental memory. Ong and Lorusso harvest water from a rapids in Niagara, New York in 2018. In the second part, we hunt for the microbial ”sage”: a totemic microbe whose influence on planetary systems goes beyond the human scale.In workshops done across North America and Mexico, we have invited participants to join the search for an Aeolian microbe by collaborating on building payloads for weather balloons and kites. 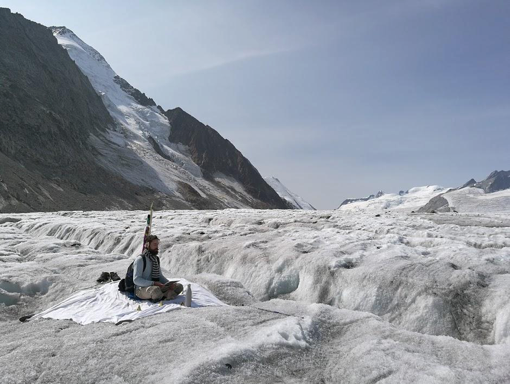 Lorusso meditating and singing to the “microbial sage” at Aletsch in the Swiss Alps. 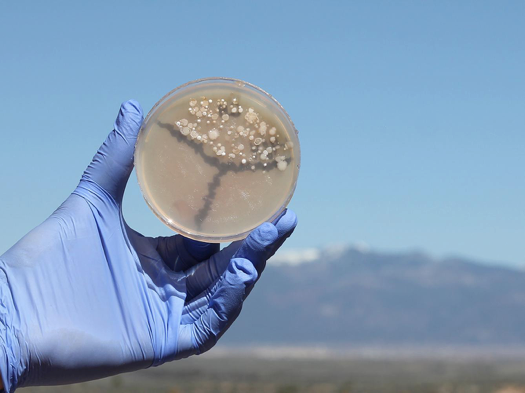 We conduct metagenomic sequencing of collected samples to catalog the constituents of the microbial communities in these various locations and identify transitional microbes that may transfer across biomes. 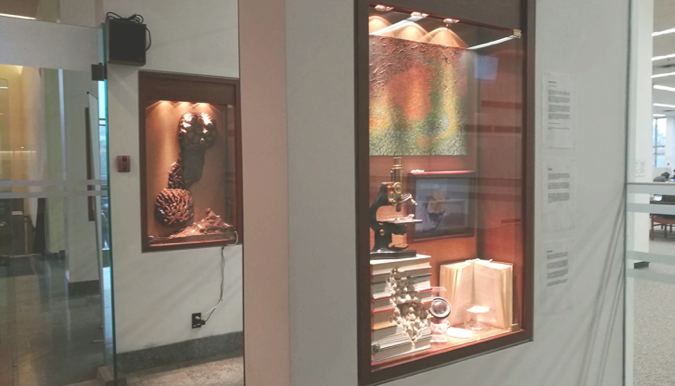 This work has been presented at the University of Toronto as part of Artsci Salon’s Cabinets Project and in Santa Fe, NM , and is the culmination of a residency at the Coalesce Centre for Biological Arts at the University at Buffalo, NY. “On this day the sky is clear and blue and the wind seemed to whisper a lullaby as Polaromonas Aeolata waits her turn at the edge of the drop.Within seconds the wind had lifted, a familiar rustle that graduated through the grains of sand and dust around her. . .
With a gasp, she falls into the arms of Wind Eagle, her slim unicellular body lifting effortless off the ground and-half falling, half drifting, swings into the currents of the ether just as the ground beneath her breaks apart. . . The terrain is hilly, rough and inhospitable. Through the mouths of crevices Polaromonas Aeolata listens to Wind Eagle’s stories of magical landscapes. She has long heard about the cloud cities, vast spaces that seem to supply and sustain millions.In her imagination, their lines and networks converge at infinity in a sort of symphony, each line stretching out across vast scales, vibrating with immanent tension and resonance, colours and textures. . .
Wind Eagle flaps his wings, summoning a giant gust of wind.In days past, he carves lines in the rocks, suspends and animates particles of dust, sand and soot, throwing them up to the skies and watching them fall back down. . .
To the farthest reaches Wind Eagle disperses these, across great plains and oceans, over great mountains and valleys, and across great animal, mineral and vegetable civilisations.Today Palaromonas Aeolata lifts into the air, riding the fastest and steepest current and finds her new home in the clouds. . .